Do you ever wish you could just cook and not have a mess waiting to be cleaned afterwards? That’s me every day. I usually let the sink get to a point of no return before I even attempt to do the dishes. But have no fear! 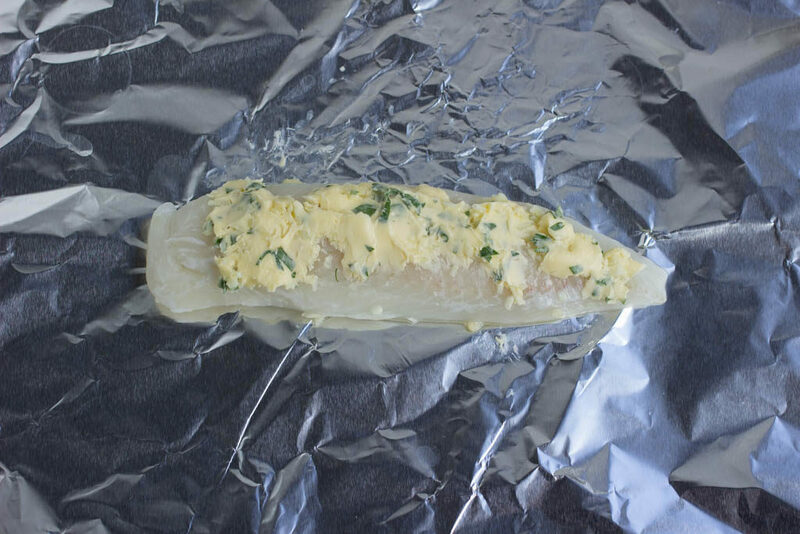 Foil packets are a clever kitchen hack to a quick and easy meal without the mess. No need to pull out the automatic toothbrush to dislodge that caked on grease. 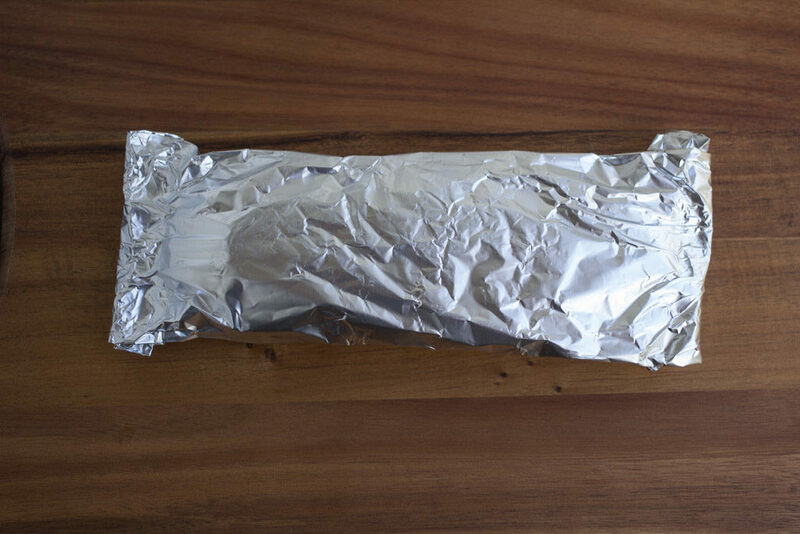 The beauty of using foil is when you are done eating, just toss out the foil. 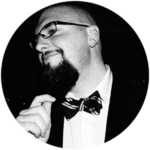 It’s like having your own personal servant named Reynolds! Lay out a large piece of aluminum foil. 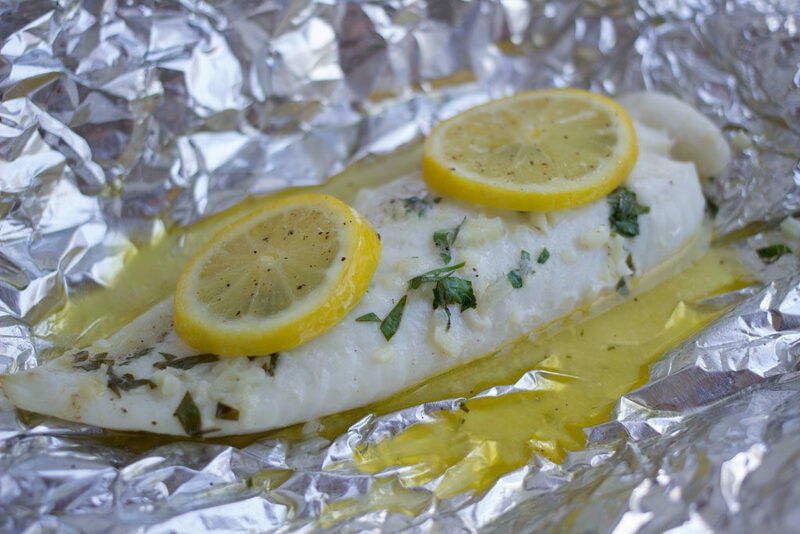 Place the tilapia on top of the foil in the center. 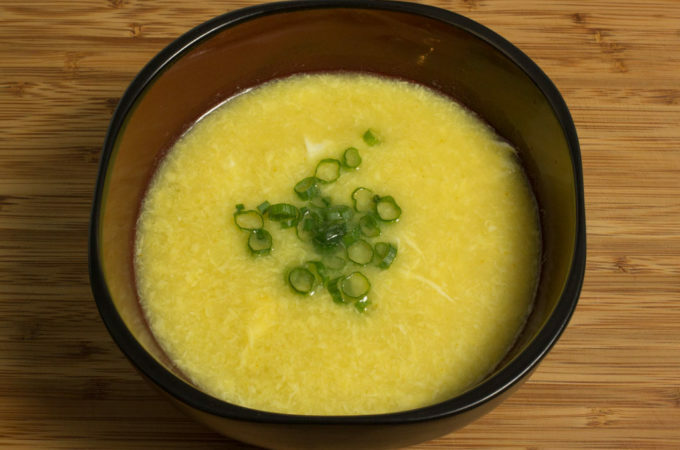 In a small bowl, mix butter, garlic, parsley and lemon juice. Spread butter mixture onto the tilapia. 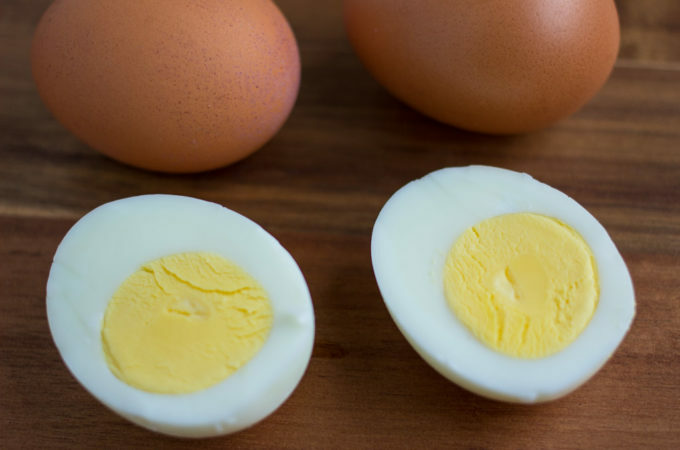 Place lemon slices on top with a pinch of salt and pepper. 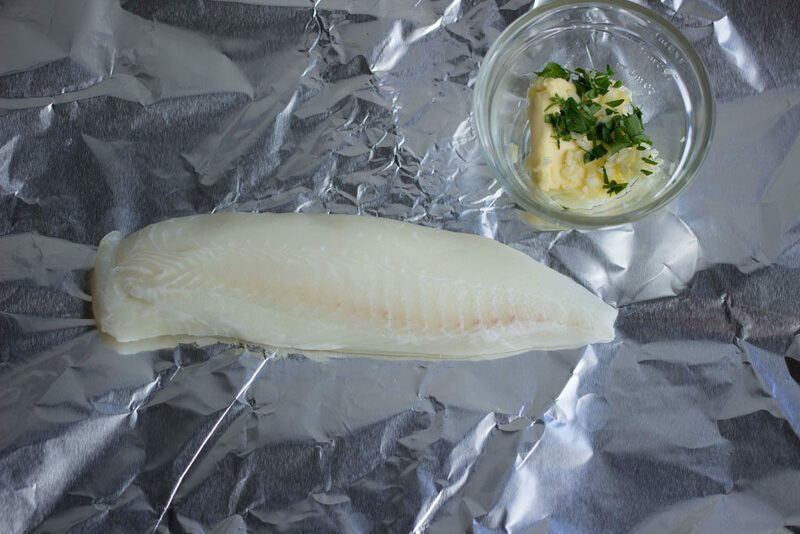 Fold the foil over the tilapia and pinch the ends to make sure it’s sealed tight. 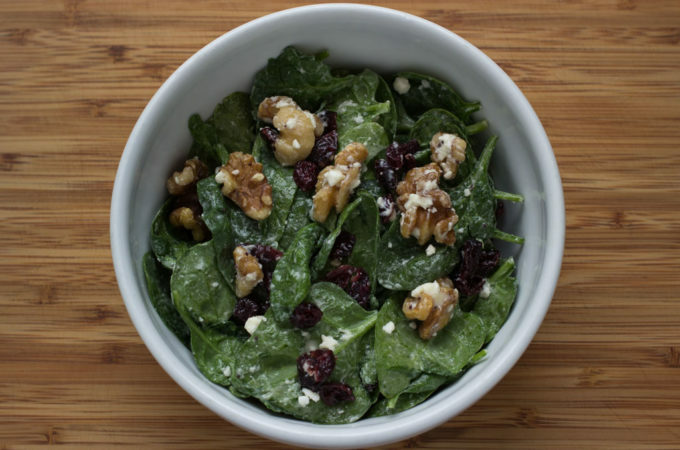 Cook in the oven for 25-30 mins making sure the internal temperature reaches 140 degrees. 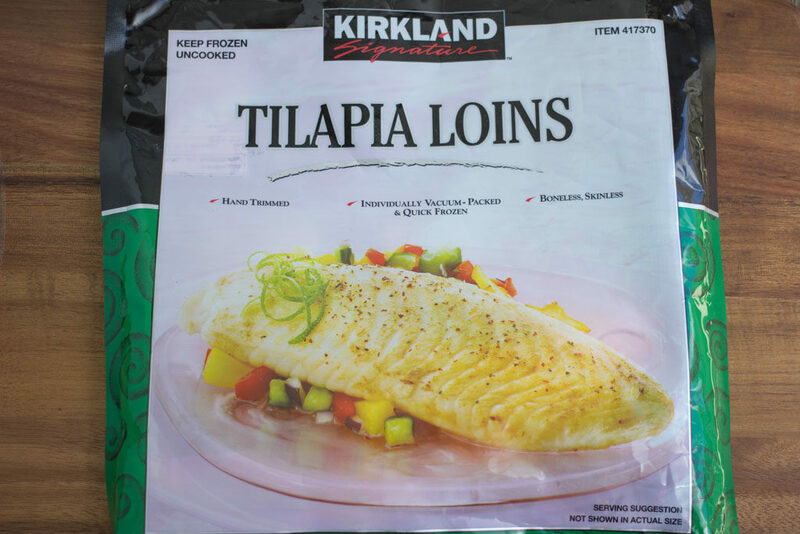 If you are in a rush and didn’t thaw the frozen tilapia. Just increase the cook time to 50-55 mins. 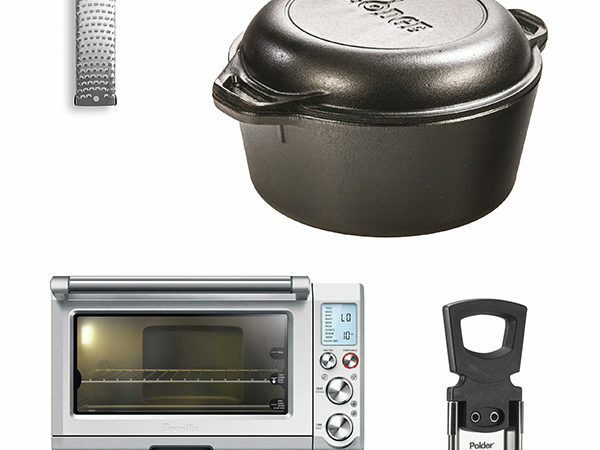 Preheat your oven to 400 degrees. 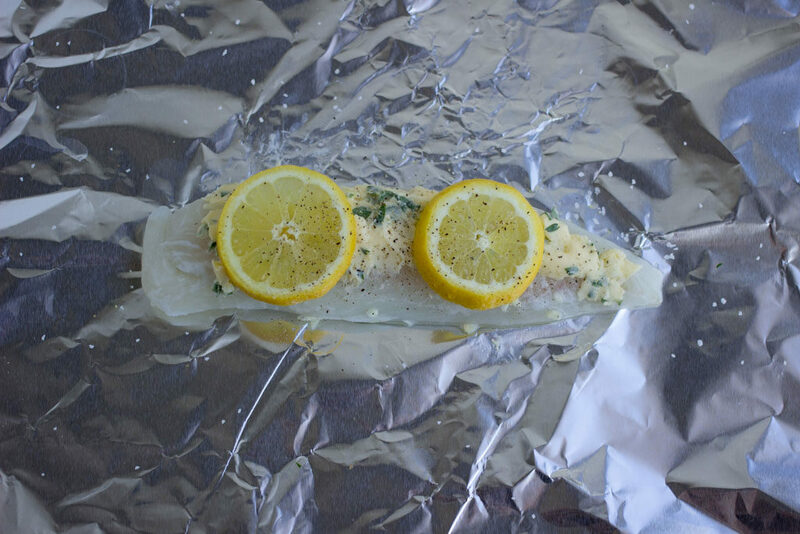 Lay out a large piece of aluminum foil. 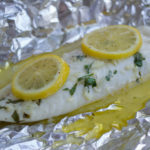 Place the tilapia on top of the foil in the center. In a small bowl, mix butter, garlic, parsley and lemon juice. 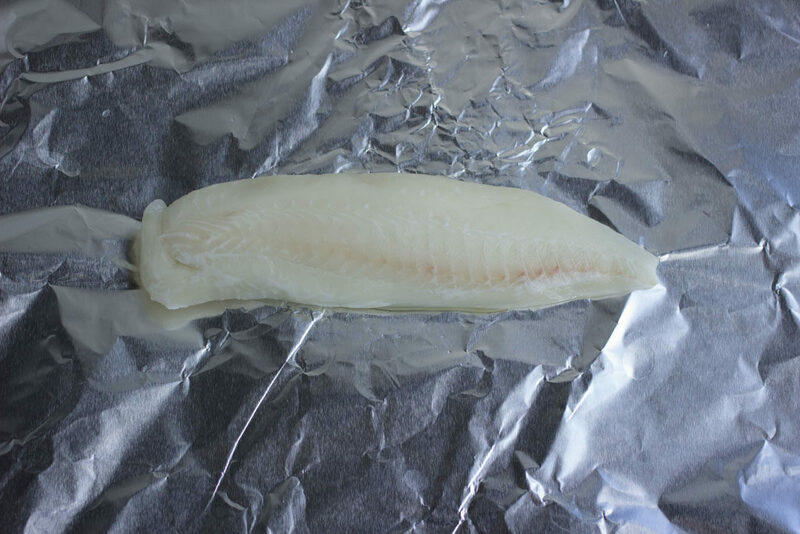 Spread butter mixture onto the tilapia. Place lemon slices on top with a pinch of salt and pepper. Cook in the oven for 25-30 mins making sure the internal temp reachs 140 degrees.